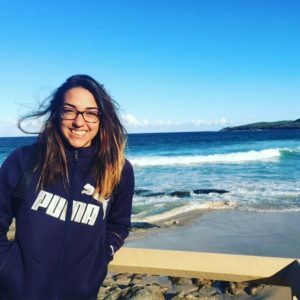 Priscilla grew up in Rome, but speaks fluent English, having studied at the Foundry Bible Immersion in Washington, DC and then working as an au pair in Australia where she lived in Sydney and Morisset. She has studied interior design at the Made in Italy Academy in Rome over the past year while also planning her upcoming June 2019 wedding to Gabriele. Priscilla plans weekend activities, helps with Italian language-learning, and will introduce students to Italian culture.